Expanding into emerging markets brings with it a specific set of challenges for designing products and services. Not only do cultural differences play a role in what, how, and why customers behave the way they do, but existing technologies, distribution channels, and the wants and needs of consumers become additional challenges when establishing market shares in the developing world. In an ecosystem, the individual elements are dependent on the ecosystem and the ecosystem dynamics in a way that dictate the organisms’ behavior and adaptation. Many elements of an ecosystem have interdependence; a dynamic of being mutually and physically responsible to and sharing a common set of principles with others. An interdependent relationship implies that all participants are emotionally, economically, ecologically and morally dependent on each other. Building a new ecosystem in an emerging market is a challenge that requires not only support for technology creation, but also support for education, system integration, and the nurturing of consumers. Developing countries are emerging in all of these areas simultaneously, and present an additional challenge to researchers and entrepreneurs seeking to build up a new technology-based industry. And yet high-tech industries such as robotics have enormous potential to benefit and transform an emerging economy. EG Robotics is an initiative launched by Hadath Egypt for Innovation and Entrepreneurship that aims to build new scientific and business communities in the emerging field of robotics in Egypt and MENA. What began as a series of robotics competitions for students in Egypt has evolved into a roadmap for long-term growth: students from the competition became graduates, and now these graduates are eager to build an industry. The hope is that each generation will build on the successes of the generation before it, creating a value chain that is able to take advantage of a growing pool of talented human resources. To achieve this will require continuous support for the various elements of the ecosystem, from pre-university STEM education, to engineering students, to research and development, entrepreneurship and support for robotics startups, to the industrial sector (both vendors and system integrators) and, finally, to the various types of consumer. By building a roadmap and fostering events and conferences, EG Robotics hopes stimulate interdependence between all these elements. 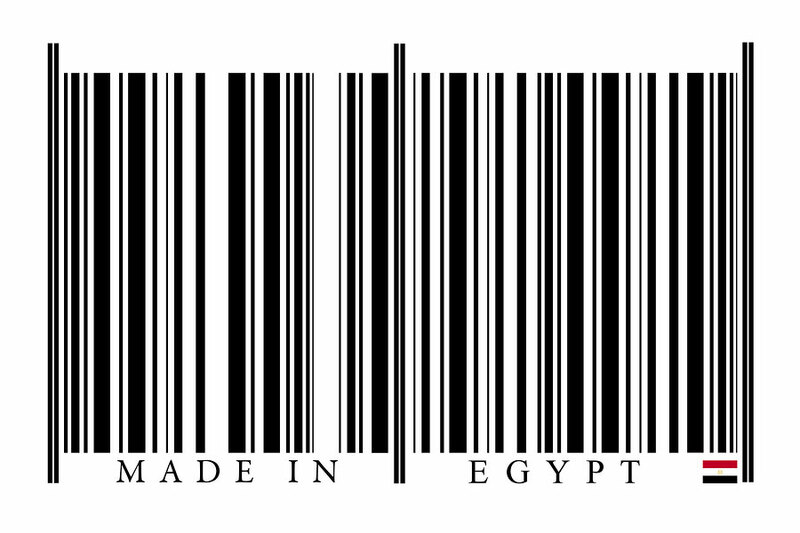 In addition, it hopes to build bridges and foster technology transfer between the Egyptian market and European and Mediterranean markets. EG Robotics Meetup, February 2015. EG Robotics had its first public launch this February as community partner to Makers Hackathon Cairo, the first hardware hackathon in Egypt and the Arab world. The event was organized by Integreight, TIEC and Dimensions, and spurred other Arab hackathons powered by Zoomaal. 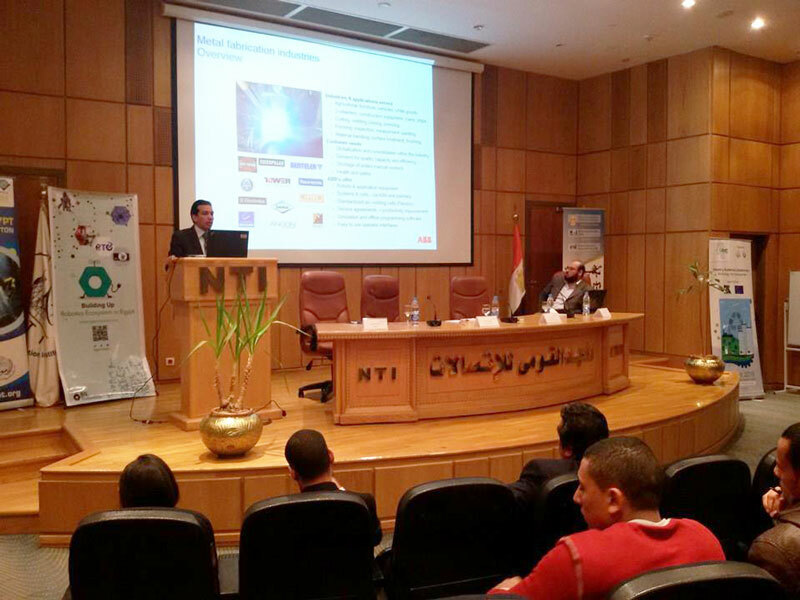 Our first Meetup took place on 14 Feb 2015 in collaboration with National Telecommunications Institute NTI, and included participation from ABB Robotics Egypt. The goal of this meetup was to provide a venue where university-level robotics students, robotics competitions organizers and people from industry and research to network, with the goal of building first long term cluster. Minesweepers Competition organized in participation with IEEE RAS Egypt Chapter and Catholic University of the North. Industry Academia Collaboration IAC in participation with ASRT and STDF. RoboCamp: It is 3 days camp, which teams of robotics geeks work on idea related to robotics and automation to convert it to a real prototype by the end of the camp. Field Trips: trips to industrial and research sites to reduce the gaps between them and start to find solutions to the market needs. Market Research support: for startups or industrial firms to help them in finding the market opportunities and needs as a type of market acceleration.